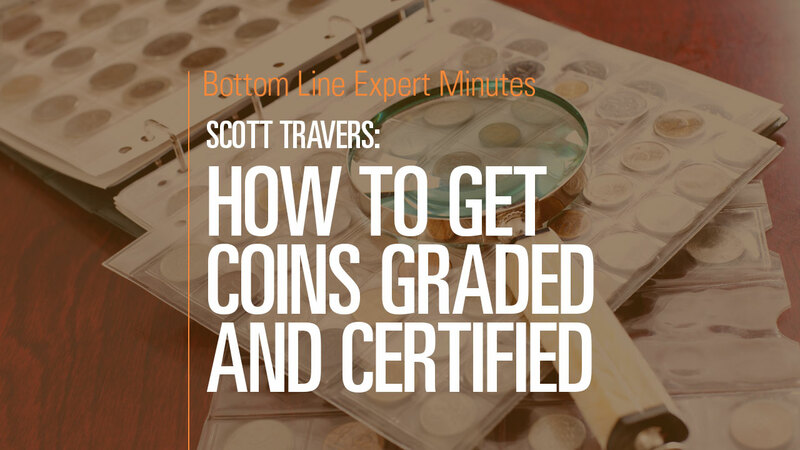 In this video, Scott Travers, gold and rare coin expert and author of The Insider’s Guide to US Coin Values, explains how a collector can get his/her coins graded and certified and the costs associated with this service. Coins are rated based on condition. Once graded, coins are sealed in a tamper-resistant container and then are considered certified. The collector can either submit the coins directly to one of the certified grading services or work with a dealer to achieve the same result. On average, it might cost $35 to $50 to certify a coin, but this can vary greatly based on the collector’s desired turnaround speed. A coin can be certified on the spot, but this might cost a few hundred dollars. A collector who is willing to wait for several weeks will pay only a fraction of this cost. Finally, because of the cost associated with grading and certifying coins, Mr. Travers suggests that collectors shouldn’t bother to grade coins that they know are worth less than $200.